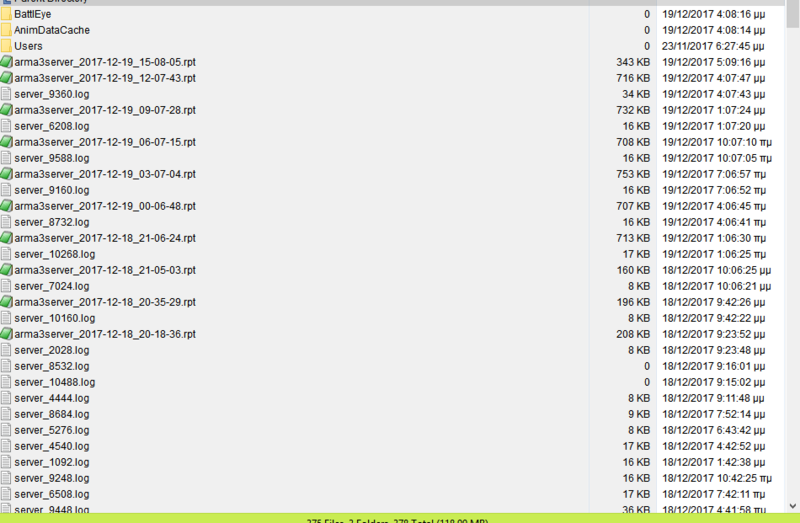 Hi all, I have a strange issue with .rpt files of my server. I only have the last 2-3 days .rpt files while the older ones are missing. Is this supposed to happen or I miss something here ? I think they automatically remove themselves after a certain amount have been created. If you want to keep all of your RPTs, I suggest automatically moving them/backing them up to another location. I see.. alright. Thanks for the info.